Until a few months ago, Arturo Vargas’s worries about the 2020 Census mostly involved ways to help Latinos get online to fill out their forms. The U.S. Census Bureau is moving online for much of this decade’s required count of America’s population, and Vargas thinks Latino-American participation could suffer, especially in lower-income areas. “They use cell phones rather than desktops or tablets mostly, and it’s hard to do the forms on those,” says Vargas, chief executive officer of the National Association of Latino Elected and Appointed Officials (NALEO) Educational Fund, which promotes Latino engagement in civic life. NALEO is one of nearly 100 nonprofit, business, and lobbying organizations funded since 2015 by a group of 75 donors known collectively as the Funders Census Initiative 2020, in hopes of ensuring a fair and accurate 2020 count. Billions on the Line The lawsuit to block the citizenship question from being added to the 2020 Census form was filed on April 3, 2018, by a coalition of 18 state attorneys general, six cities, and the bipartisan U.S. Conference of Mayors. Complainants contend that demanding citizenship information “would depress turnout in states with large immigrant populations, directly threatening those states’ fair representation in Congress and the Electoral College, as well as billions of dollars in critical federal funds for education, infrastructure, Medicaid, and more.” The Trump administration has stated that the citizenship question will help enforce voting rights. But time is limited, and census problems have proliferated, culminating in increased tensions between the members of the census initiative and census authorities. The current national climate over immigration issues has increased overall distrust of government to new heights this year within immigrant communities, and members fear that census data could be illegally abused to target noncitizens for deportation. “The toughest thing to crack is finding trusted voices to overcome the intense fear immigrants have about filling out the form,” says Gary Bass, executive director of the Bauman Foundation and cochair of the collaborative. Rather than offering reassurance, the U.S. Commerce Department announced in March 2018 that it would add a question to the census form asking all U.S. residents whether they are U.S. citizens. Commerce Secretary Wilbur Ross claimed it would be useful in enforcing protections for minority voters. 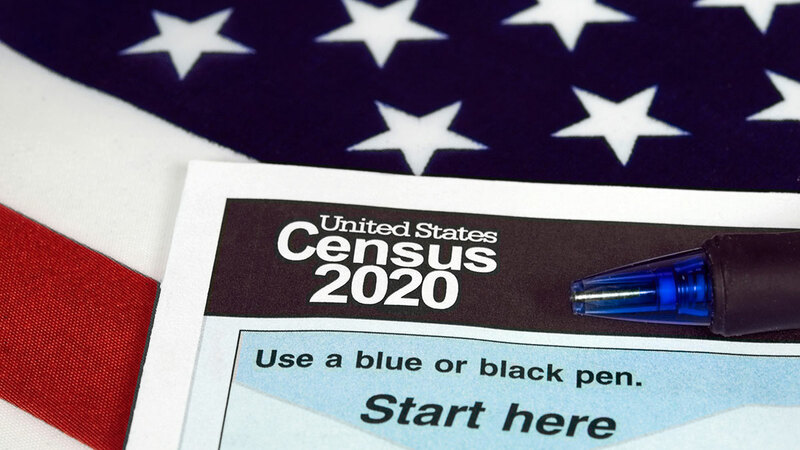 Some civil rights groups and other census experts disagree, saying the Census Bureau’s American Community Survey already provides adequate data. Over the past three years, the collaborative funders have awarded grants totaling $25 million toward that goal, arguing that an accurate count of every woman, man, and child living in the United States is crucial. That is because the results affect nearly every area of American life. Knowing who lives where determines how some $700 billion in federal funds gets distributed to states and localities for education, health care, transportation, and infrastructure, among other things. It also helps better enforce civil rights and housing laws, as well as expand the reach of services such as child welfare, school lunch, and disability programs. The count also provides useful data to businesses deciding where to locate and how to attract customers and workers. Congress uses it in its determination of the number and boundaries of congressional electoral districts, while state and local lawmakers use it to define school districts, voting precincts, and their own domains. Adults or children who don’t get counted get shortchanged in these types of decisions. In the 2010 Census, blacks were undercounted by over 2 percent and Hispanics by 1 percent, while nearly 5 percent of Native Americans on reservations were missed, according to the Census Bureau. Nearly 5 percent of all children under age 5 were not counted — one in every 20 kids — evidently because many wrongly assumed that the census only counts adults. Meanwhile, white residents were overcounted by about 1 percent, apparently because of second homes or college residencies. Carnegie and Bauman were among 15 major philanthropies that began work in 2015 on an action plan to bring in donors and set up the collaborative, using tool kits, fact sheets, networking webinars, and technical assistance. They warned that the Census Bureau was far behind in the research and education campaigns needed to fix its problems, and to remind people of what’s at stake. A chief concern is how information in the new online forms will be kept secure and confidential, especially in light of recent hacking campaigns to spread disinformation in other areas. Funding lags have meant that new computer programs and systems haven’t been extensively tested, raising the prospect of major crashes such as those that plagued the rollout of the Affordable Care Act. How will the bureau reach the millions of residents with limited or no English fluency? Or rural and low-income people who lack Internet access? In 2010 the bureau hired 685,000 people to go door to door, many of whom were legal permanent residents with useful language skills. But in 2020 only 280,000 enumerators are slated to participate — and they must all be U.S. citizens. The collaborative’s grantees are doing innovative work, Bass says. At the CUNY Graduate Center, Steven Romalewski has created an interactive map of hard-to-count census tracts that will allow advocates to target attention and resources. Andrew Reamer at George Washington University has identified the federal programs that rely on census data in their formulas for optimal fund distribution, allowing users to more clearly see what’s at stake for various programs in their areas. Several grantees are doing opinion research to craft outreach campaigns encouraging census participation, for testing and use this autumn. Others are mobilizing maternity hospitals and institutions that serve pre-kindergarteners and young parents to remind them that children have just as much right to be counted as adults do. Parish priests, pastors, and other religious leaders are being contacted to urge their congregations to fill out the forms. And a national Latino Commission on the 2020 Census is sponsoring hearings in hard-to-count areas to get recommendations for Census Bureau action steps. The overall drive now has a presence in more than half the states, many of them mirroring federal-level awareness efforts. With further funding, stakeholder groups could partner with cities and businesses to create Wi-Fi hotspots, promote census days at libraries, and offer mobile vans with Internet access, Bass suggests. Social media could be used to promote culturally resonant messages about the importance of completing the forms. And a Census Navigator program could assist people with the paperwork. The collaborative is now focusing on raising another $35 million to get out the count, bringing in new voices to deliver the message, especially at state and local levels. Donors can choose to support individual grantees directly or contribute to a funding pool through the New Venture Fund. “What we want to do is leave a legacy beyond the census to build the capacity of communities of color and low-income groups to be more involved in civic life over the long term,” Bass says.